Full Peruvian - In just 15 months of showing DURANGO won SEVEN COLOR CHAMPIONSHIPS!! He entered seven championships and won EVERY one he was entered in, including MAPACA and AOBA Nationals. This is the suri male that you want in your breeding program. DURANGO is a 3/4 Accoyo Macgyver son. 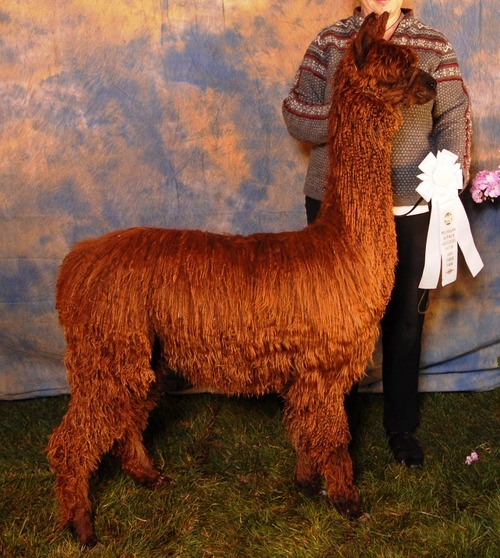 His Dam - Accoyo Kori - is out of the famed colored full Accoyo herdsire Uribe. At 10 years of age Kori still holds her fineness, a 24 micron histogram! This dam's highly sought-after genetics have never been sold other than through Durango breedings. To date her owners have retained all of her offspring. Durango's demeanor is very mild mannered, characteristic of both his Dam and Sire and he consistently passes to his offspring. Durango's fiber data is nothing short of stellar. Random locks taken from both sides, chest to tail, produced an unbelievable 19-micron count. That's uniformity!!! 1/2 Bolivian, 1/2 Peruvian - Check out Bonita's additional statistics. They are just awesome. She makes girls and color. What more can you ask for? 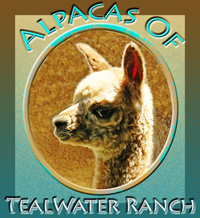 1st cria--rose gray female, Rolling Acres Gracie--first 2 babies are colored girls. 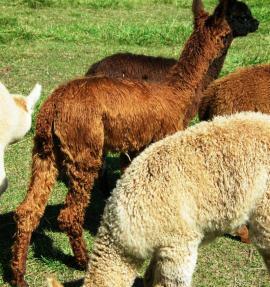 2nd cria--bay black female, Rolling Acres Larita--first 3 babies are gray girls. 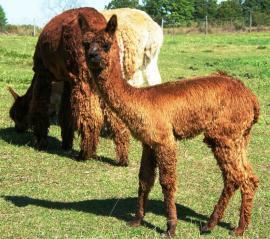 3rd cria--lt fawn female, Lady Sadie--first baby is a freckled girl! 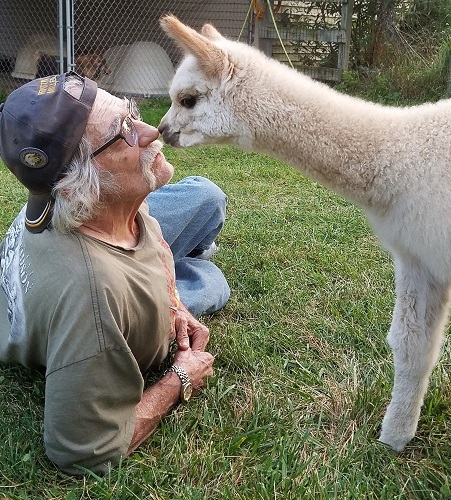 5th cria--another girl! Queen Lucy is sold as a weanling! She's white with a few fawn spots, so we'll recommend breeding to a gray after seeing what sister Sadie can do. Bonita's fleece is like putting your hands in silk. Bonita's what production is all about, with her and her offspring producing over $100,000 in sales so far. 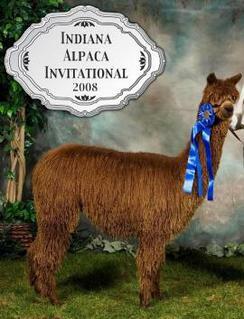 If you're looking for quality in your colored Suri breeding program, don't pass by the chance to add these fantastic genetics to your herd...a Brown Color Champion female proven to produce exceptional luster and fineness, not to mention a very calm, laid back attitude. Darcy is so mellow we have seen her sharing her milk with her cria's playmates - 4 crias nursing her at once! What's not to like?